There is a new calendar and contacts sharing software for Windows, Macintosh, and Linux / Unix users. 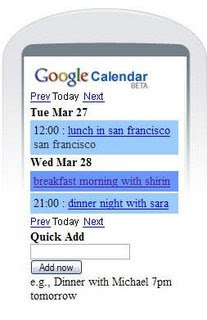 and contact lists, any time and from anywhere, between any combination of PCs and Palm OS smartphones and PDAs. Their website is www.clearsync.com and you can try their service free for 30 days.